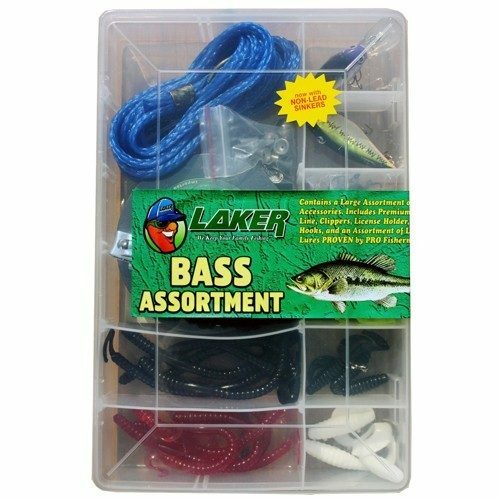 Laker Bass Assortment Just $12.99! Down From $40! Ships FREE! You are here: Home / Great Deals / Laker Bass Assortment Just $12.99! Down From $40! Ships FREE! GearXS has this Laker Bass Assortment on sale for $12.99 (Reg. $40)! Experienced anglers know the right bass calls for the right bass bait. When it comes to choosing the right color bait, the Laker Bass Assortment collection carries a complete selection of dark and bold colors for dark days and muddy water, and realistic semi-transparent colors for clear water and bright days.